Just when you think Microsoft could do no worse in Japan, the console proves that, yes, it can do even worse. Much worse. After a dismal Japan launch and then horrible sales, the latest weekly Xbox One sales for Japan are, simply put, awful. 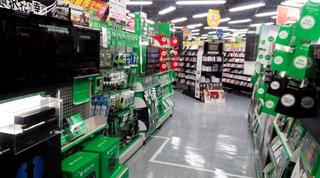 During the week of June 8 to June 14, Microsoft sold a hundred Xbox One consoles in Japan. That’s right, one hundred. This data is from Media Create, which tracks game software and hardware sales in Japan. Yes, yes, I know that any of the home consoles aren’t exactly tearing up the sales charts, but compare the Xbox One numbers to the other consoles. Then, think about selling a hundred Xbox Ones in a week in a country of over 120 million people? Ouch. You know, now might be a good time to seriously reconsider even selling the console in Japan.